So guys, show them to the forum members and the visitors of this site. My 1990 FE 501 is restored now, except for the original decals. So "lets hear it" for the old Bergs. Thanks for youre entry to this topic. ps: nice bike you have! Most of the guys here still have one older Berg in the shed. Well i am just curios to see these " old party animals ", and to see in what shape they are in. the name Husaberg and rename it Husqvarna. 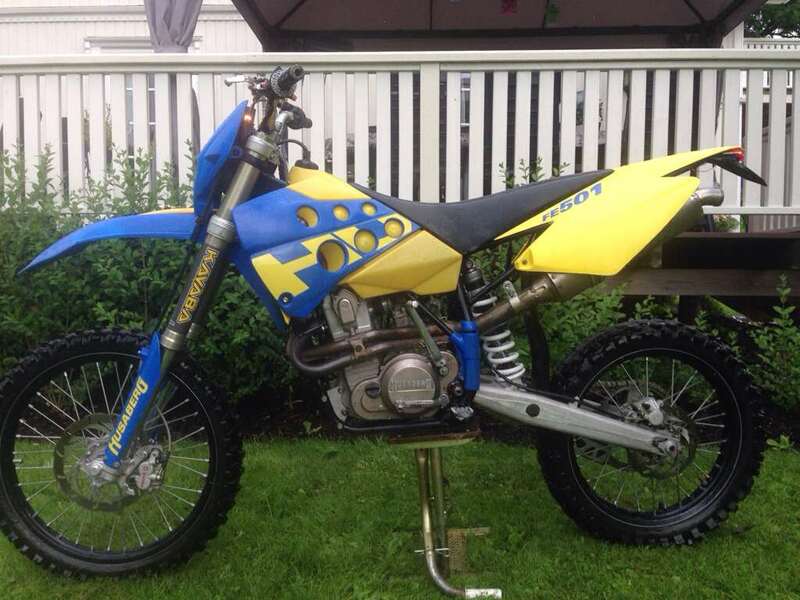 Are the only older Husabergs out there,only the one from Skjetvingen and me? What about you Zaga? Can we look in your shed? Come on guys show them please!!! 1997 FX 600E. When its done it will be street legal with the large tank. Should be ready to test in a few more weeks. 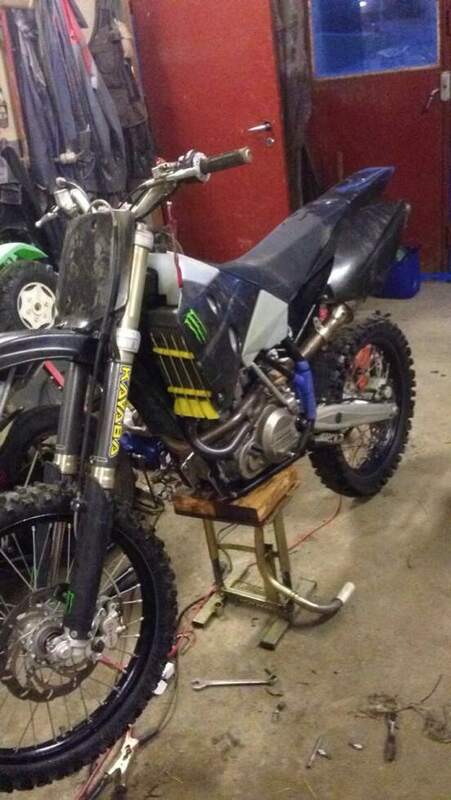 And because of the photo's you posted,we can see that is real good example of a pre 2000 bike. Keep us posted will you? p.s. interesting fueltank never saw it !! Last edited by rens bos; September 8th, 2014 at 01:58 AM. My shed ?? between me and the kids it's always a mess !! Here you have some pics, now it's even worst !! One more bike and one gokart. Its off a 98-99 FR Model I believe. 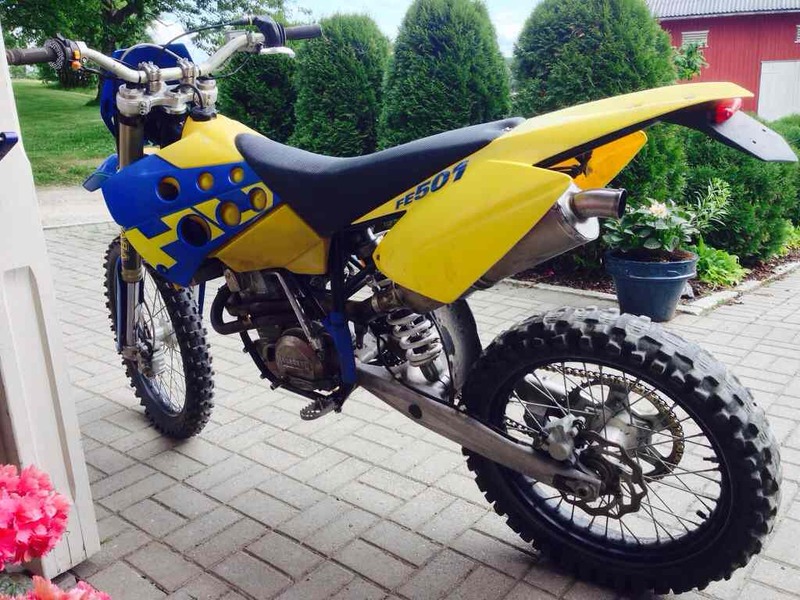 It was also sold by Husaberg as an accessory. It supposed to hold a whopping 24.5 litres / 6.5 U.S. gallons. I also have an accessory Husaberg right side number plate gas tank that holds a gallon. That's 52.5 lbs of fuel. I don't know where I'll be going but I probably won't run out of gas. Last edited by husabutt; September 8th, 2014 at 08:56 PM.